I think there’s a lot of great picture books in publication that we don’t initially realise are foreign. I find it fascinating to look through foreign books and learn traditions and customs which we might not otherwise know of. It’s also great for kids to get a larger scope of the literature out there and to experience something a little out of their comfort zone; that I believe is quite important in a child’s reading experience. Few children probably realise how old Miffy really is. First published in 1963, this Dutch little Rabbit has stood the test of time. Miffy is a simple little rabbit who has not changed one bit since she hopped into children’s lives in the 60’s. I appreciate that she hasn’t changed into a 21st century rabbit (whatever that may look like) The premise of Miffy works so there is no need to change it. She’s a small rabbit with a minimalist representation- hardly believable yet her stories are good representations of a child’s life such as a birthday party or going to school and with over thirty different titles, it’s understandable why Bruna has sold over 80 millions books worldwide. If you want a really old, traditional picture book then this is it. 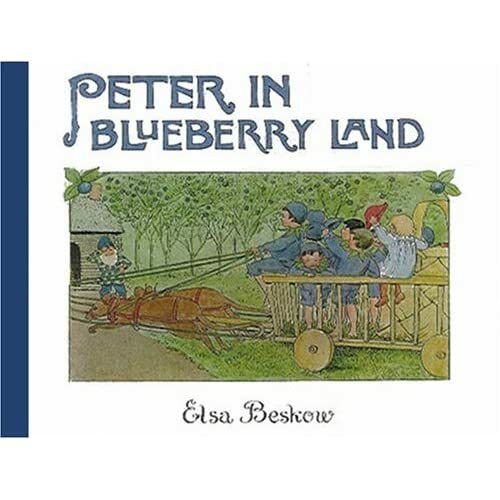 First published in 1901, it tells the tale of Peter, blueberries and possibility. I’ve chosen this book because the author Elsa Beskow, was considered the first to introduce Swedith literature to a wider audience. 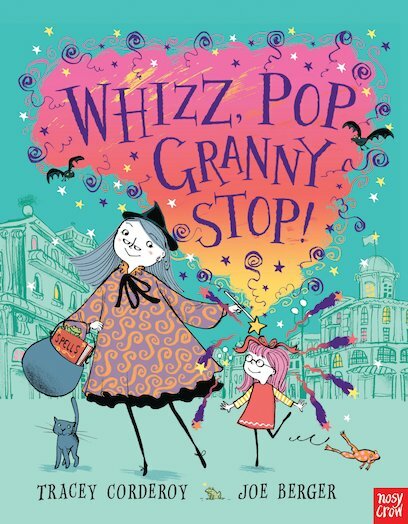 The illustrations may seem dated to some children but if you have an appreciation of classic in the same manner as you will have an appreciation of Harry Potter in 50 years to come, this is a charming book to add to a collection. How could I not include Babar in here? I loved the books, I loved the television series when I was younger. 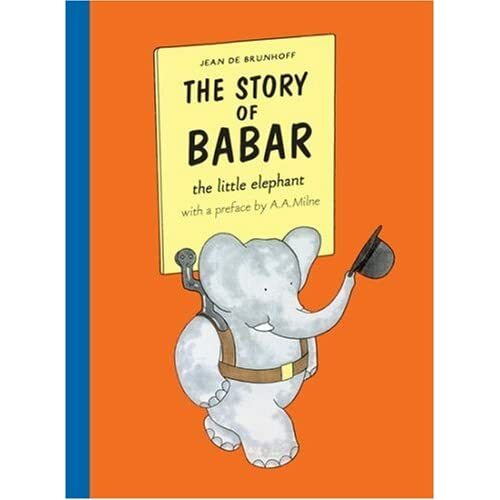 First published in 1931, Babar’s stories were considered a new type of picture book and paved the way for more developments in this form of literature. The beginning of this story is quite sad, Bambi-esque if you will, with Babar the little elephant’s mother killed in the forest. But the sadness doesn’t last too long and makes way for charming story of triumph over loss. 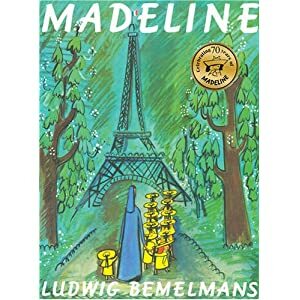 Ahh Madeline, the smallest of her class and yet the bravest. A literary hero to Judy Blume, and many others I am sure. Bemelmans opened each of his stories with the same line “In an old house in Paris, that was covered in vines, lived twelve little girls in two straight lines” It’s a line that has stayed with many children through their lives. I don’t know what it is about this story; the Parisian undertones or the simple cartoon picture board illustrations; this book charmed me and will continue to charm children for many, many years to come. An obvious choice? Perhaps, but it doesn’t mean I love The Moomins any less. I’ve got Moominmania! There’s something about a little white Moomin that makes me want to cry, in a good way. They’re innocent, strange little creatures who live in Moominland and yet they have all the good traights of what it means to have morals, passion and fun. And yes, I absolutely do believe you can get all that emotion from one book. In fact, I have one illustration by Jansson as my wallpaper on my laptop. 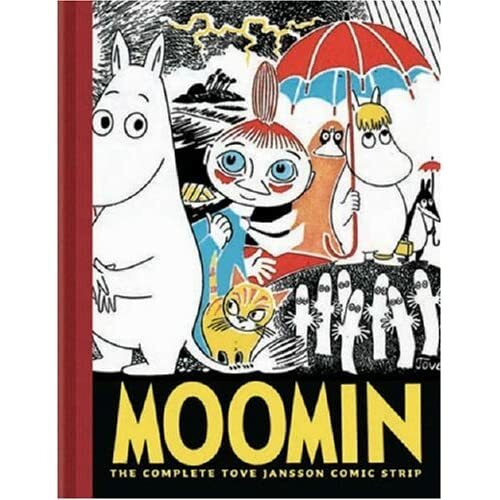 It is of a Moomin in stripy black and white shorts, running off with a face of determination and the caption read “I bet I’ll make an impression” It just reminds me to have that sort of determination every day in my own life. I would provide ISBN’s for all these titles, but there are so many editions available it’s up to you to pick your favourites. I loved the Moomins and Babar, I can’t wait to share these lovely characters with my own children! Came over to take a look from book blogger hop. I like the classic foreign picture books you’ve highlighted. I just bought that Miffy book for my daughters and I had NO idea how old it was. Those books are so adorable.